Help Me Sell My Computer! You've owned your computer for a year or more and, yes, Dell or IBM or Intel has come out with some latest and greatest technology that just out dates everything you have. Or worse, you bought your computer too many years ago that you don't remember how old it is. No matter. You want to sell your computer or sell your PC for the most money and you are not sure of the first step. "Help me sell my computer!" Andover has sold over 75,000 computers, laptops, servers, routers, switches, etc. in the past few years - all used. While we don't work with individuals, we do offer a simple guide on how to sell one computer and links to resources that can help you sell your computer. 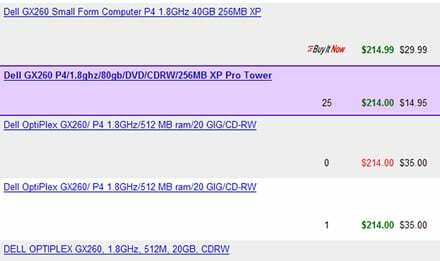 Selling Your Computer - Choose the forum where you should go to sell your desktop computer or sell your laptop computer. Payment - Many ways to get payment. Each has their inherent benefits and challenges. Shipping - Price shipping, find materials sufficient to package the computer, choose the service (USPS, UPS, Fedex or DHL): what to consider when making these decisions. Despite owning and using a computer for several years, most people have forgotten the speed, memory and hard drive size of their computer. So here is how to find these numbers. And this is easy. You can pay someone hundreds of dollars to do this for you or simply follow these steps. In order to sell your computer, you must know what you have. Manufacturer: Look at the front of the computer. The big manufacturers are: Dell, Apple, IBM, HP, Compaq, Sony, Gateway, Toshiba, Panasonic, Fujitsu, etc. If there is no name on the outside of the box or there is a small square sticker of a firm that you are fairly certain none of us would know, you have a Custom "Whitebox". If you have a white box, you must figure out what kind of motherboard you have. The motherboard is the biggest piece of "hardware" within your computer. Everything attaches to this motherboard. What you must do is shut down your computer and restart it. Read the screens as they come by. Look for one of several motherboard company names such as ASUS or Intel. Others are ABIT, Tyan, Gigabyte, etc. After the manufacturer's name, you will find the name of the motherboard. WARNING: this information flies by on the screen quickly. Be prepared to write quickly and boot the computer several times. Speed and memory: Regardless of the manufacturer or the maker of the motherboard, the easiest way to find the speed and memory for a windows computer is to boot or re-boot the computer. While the computer boots, you should also observe the type of processor either Intel or AMD for Windows systems. Also on the boot screens are the speeds and types of these processors and the memory installed on the computer. As back up, after the computer starts and you have logged into it, right mouse click on the "My Computer" icon and select Properties. 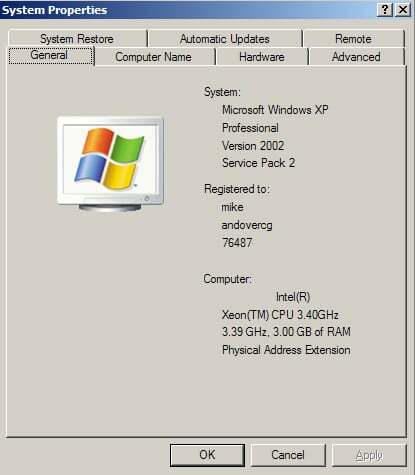 If you are running Windows XP or a newer operating system, the screen will show speed and memory. The problem with using this method is that it does not identify if you have two processors. It simply identifies one. In my case, I have a dual, but it does not show this. Right mouse click on the hard drive. Select properties and you will be able to observe the hard drive size. The hard drive shown here is an 80GB hard drive even though the capacity is only 74.3GB. There is about 4GB in overhead that my computer uses to manage the computer. CD-RW, DVD, Video, etc. : You can see in the graphics above that I have a CD-RW on this computer. You should make a note of the kind of "optical drive" you have such as CDROM, CD-RW, DVD-ROM, CD-RW DVD Combo or simi liar. 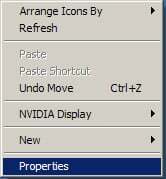 Video Card: You can find the video card you are using by right clicking on the desktop. In this case, I am using a Nvidia Quadro PCI-E series card. For 99% of all computers, this card is stock and sold with either a laptop or a desktop. You should write this down as well. Windows COA or Windows Certificate of Authenticity: This is a sticker that may be on the side of your computer. It is a license sold with the computer that allows the owner of the computer to install a Windows operating system. This license has some value to a potential buyer. It looks like the graphic below. Other items: Printer? 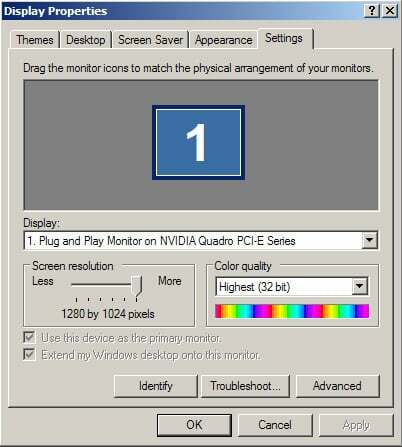 Monitor? 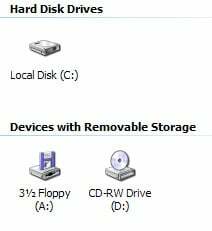 External Hard drive or CD-RW? We highly recommend not to bundle. In other words, if you have a monitor, printer and any other peripherals, price and list these separately. While many people want the full solution - computer, monitor (or laptop) and printer, most people interested in a used computer of your type will not necessarily want that particular model of monitor or printer. Its enough to mention that you have it if the person wants it. On your computer are your credit cards, all your personal email and any personal photographs and papers. There are plenty of bad ways to wipe a computer and very few goods ways. I read a report some years back about some college students that bought a series of hard drives on eBay and were able to find very sensitive data from the hard drives by simply recovering data using simple computer utilities. The art of wiping data is to "raise the barrier" so that anyone trying to find data will have to use more than simple computer utilities to recover your personal data. Ultimately, the only way to completely erase data is to have the hard drive shredded or melted down. This is the only US Department of Defense standard. If this is the case, why would we recommend wiping your data rather than cutting up your hard drive? There are two reasons we recommend doing this. First, a very practical one, is that cutting up or shredding a hard drive requires specialist tools or machines and chances are these are not in your garage. Second, if you use the tools we recommend, the expense to try to find your data will be so high that most people would simply not try to find it. And the biggest defense you have is to sell your computer in such a "random" fashion that the buyer does not really know who you are. Format the drive. The data on the drive still remains on the drive. The drive can be simply unformatted and used and viewed by anyone. Remove the partitions. Within ten seconds anyone with a simple tool can resurrect all the files on your computer. Putting files in your computer's Recycle Bin: This does not delete documents. It simply removes the shortcut to that document. The "document" still remains on the computer. 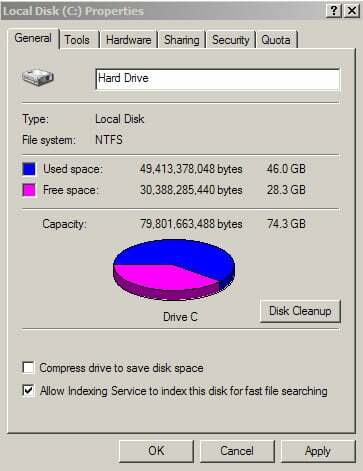 The tools that work the best are those that write "1"s and "0"s to every sector of your hard drives. More sophisticated utilities such as the first we mention use various algorithms that increase the probability that the data (stored in residual magnetism) cannot be read. The lower the probability you want anyone to see your data, the more times your disk drive must be overwritten. First, back up all your critical data before wiping your computer hard drive. Kill Disk: www.killdisk.com The best utility around for the work. It offers a variety of wipe options. Darik's Boot and Nuke: dban.sourceforge.net A great utility that performs a wipe from a floppy. Drive Scrubber: www.iolo.com/ds/index.cfm Another utility that performs the "1"s and "0"s overwrite. SuperScrubber: www.jiiva.com This utility does for the Mac what Kill Disk does for the PC. When you buy a house or car, you use comparables to give you a sense of what it is worth. It is the same for computers. The best source out there for that information remains www.eBay.com. 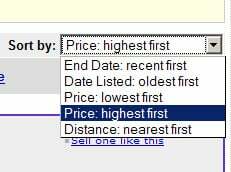 To determine pricing you have to check items that have sold (like stock traded at the stock market) and you must write a good search. Completed listings: The first mistake everyone makes when pricing on eBay, is to use Current pricing and not Completed Pricing. The difference is obviously significant. When evaluating pricing ensure that you have checked Completed listings. In order to see completed listings, you must register. Registration takes only a few minutes. Search term: There is some art to finding comparable listings. The simplest method is this formula: Manufacturers name and model number of your desktop or laptop and speed. Speed is written like 1.6Ghz or 1.8Ghz or 933mhz. So a search for a Dell GX260 with 1.8ghz would read "Dell GX260 1.8GHz". Sort Criteria: Call this step adding order to the search. Ensure that this option is selected. So our sort would reveal a long list of GX260s that have recently closed on eBay. From this list you would have to choose ones that look most similar to yours. Red means that the item did not sell on eBay (too high priced maybe?) and green means that the item sold. If you want to sell your item on any number of places, this page will give you some idea of how much to ask for your computer. You know what you have, you have a guess on what it is worth, now time to either sell it or give it away. Throw it away: It may be so old that its not worth selling it. If this is the case, then please dispose of it by taking it to a metal recycler or calling your local refuse removal service to ask them what you should do. 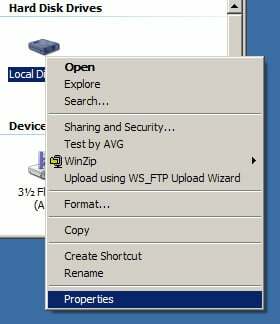 Give it away: While seemingly a simple solution there are two issues that you must still address: wiping data and support. You must still remove your personal data from your computer. As long as the conditions of the gift are "no support", you should be relatively safe. Sell to a friend: Not much different from the first except if you demand a high price, expect to have to take it back if your friend has problems or issues. You must also remove data. Donate it to a school: This is generally the most costly of all options. All schools that Andover is aware generally insist on relatively new computers that are the same they are using today. Having older and mixed computers costs a school more in support than it would pay not having computers. Advertise in local paper or on www.craigslist.org: You must still wipe the data and if you sell to a local person, you must expect them to come to your door or to a neutral location to execute the trade. Be aware of all the ramifications of this could bring. www.ebay.com: We recommend this as the best alternative as you can define support, avoid having anyone come into your house or being forced to drive to a neutral location. The only additional challenge you will have is to box and ship. Dell GX260 computer, 40GB hard drive, 1GB ram, 1.8Ghz, CD-RW, Windows XP COA, includes, mouse, keyboard, power cord and a network card. It works. I have loaded Windows XP onto the system from the restore CD. Shipping is fixed at $49.99 anywhere within the Continental United States. I will not ship outside of this area. You have a thirty-day money back guarantee if this computer does not work. You are responsible for any return shipping to me. You do not need more than this to be successful. Expect a few questions and take a few photos of the computer. One would think that accepting payment is easy. Someone pays you and you give them the computer. In this day and age, money transferred is not always transferred completely. Check: Be aware of having a check bounce. If you accept a check, insist on ten business days for the money to clear. For any checks below $5000, the bank will generally deposit the money in your account and remove it if it bounced. Call the bank to ensure it cleared. Money order or cashiers check: Andover has received fraudulent certified checks from banks that don't exist and fraudulent USPS money orders for amounts more than the purchase. Treat these transactions like checks. Have them clear first. Wire: This is the best way to accept money as there is no way for a buyer to get it back without your permission. However, most banks charge a fee for completing a wire. Paypal: Whether on eBay or not, you can use Paypal to clear a payment to you. If you do not use it today, recommend signing up for it. The benefit of selling through eBay is that Paypal will clear the transaction and put the money in your account. Keep it simple. Cash means that the person will knock at your door. Take your pick. Clearing money and accepting money is not always as easy as it seems. Shipping is not just the cost of UPS or USPS. Unless you have the original box for the computer, you will need to find a box that fits your computer. This plus the packaging material and your time to find this should roughly double the shipping cost. For desktop computers, we suggest pricing your shipping at $39.99 to $49.99 depending on the size of the desktop. Insurance is included in this pricing for any computer less than $500. Insurance generally costs $.50 per $100 and is free for the first $100. Laptops should ship coast-to-coast for about $24.99 for laptops worth less than $500. This includes boxing, packaging and the actual shipping costs. Make sure nothing moves inside the box after packaging it. 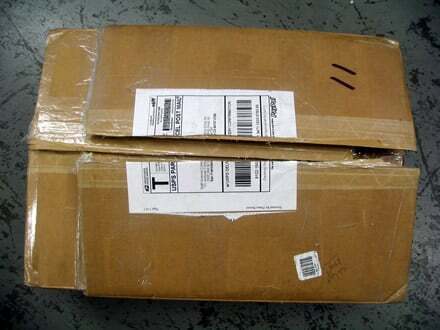 The best way to avoid a shipping claim or to avoid damage is to avoid space. 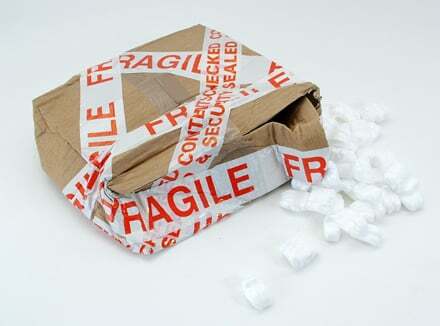 Items that work well are flexible foam (not the hard foam called polystyrene or styrofoam), bubble wrap and peanuts. Remember to get enough of them so the box is so stuffed, nothing moves. Ensure that the box is strong enough for the journey. Getting cardboard box that disintegrates before the journey is done - no matter how well stuffed the box may be. There should be at least 1" of padding all around the item being shipped. In the event your computer does not make it safely, you will lose all your money as the shipping company will not support you with a shipping claim. Get the correct box size. This photo below shows a creative way that one person shipped something to us using two boxes. It arrived safely but the person easily spent an extra 30 minutes preparing this item for sale. Do not use cheap fillers. 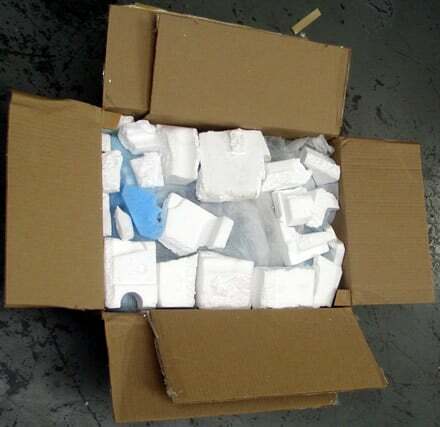 The same box from above came stuffed with polystyrene (styrofoam) that disintegrated during the trip. The item we bought was covered with bits and pieces of foam that broke off and was attached inside and around the computer. It does not have to be pretty. 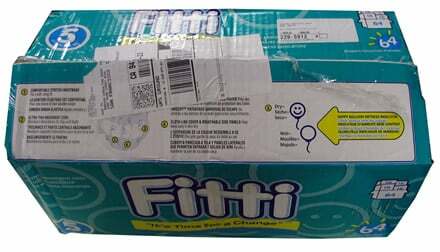 We received an item in a diaper box. The box did the job. However, using a box such as the one below for a heavy computer would be risky as the walls of this box are not that strong. Don't over package or under package. This was a unique package below. We got the item wrapped in twenty layers of "Saran Wrap" or what in the shipping industry is called Pallet Wrap. There was nothing so frustrating as spending twenty minutes opening an item that was so over wrapped that we were forced to use a knife to open it. 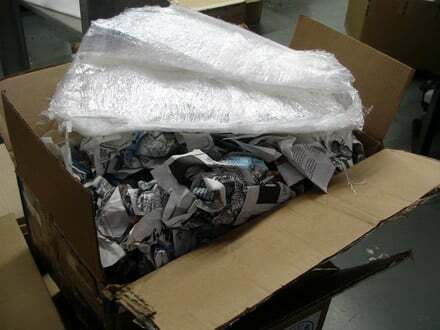 Newspaper is a risky package stuffer as most people do not put enough into the box to make transportation safe. 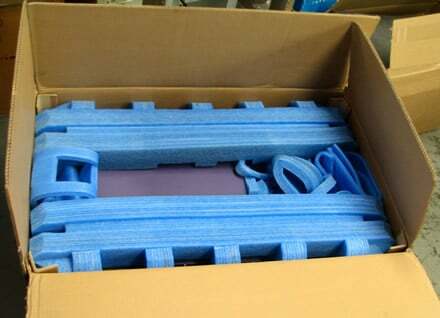 In this case, the seller did not use enough for us and the item came damaged. Note the cardboard is generally bent out of shape meaning that the cardboard was not strong enough for the item shipped. Be creative. This item came to us in perfect condition and I could tell that the seller had found all his material from the back of a store. It worked. when we closed the cover of the box, nothing shook and nothing moved. UPS, USPS, Fedex or DHL? Many factors to consider. Convenience to your location. Keep it simple. There are subtle differences between Fedex, UPS, DHL and USPS. Given that you are simply selling one computer, these differences will not manifest themselves on one shipment..
Support at the location to where you would ship. If your buyer tells you that the DHL service at his location is nonexistent, please take this into consideration when shipping the item. Everyone has likes or dislikes about the driver that may show up to their house. Keep in mind that the person to whom you ship will have a completely different view of which service works the best. For example, when I lived in San Francisco, USPS continuously lost packages. As much as I would like to tell you the sale is done when you ship or sell your computer, there is always someone who can't figure out how to turn it on. Warranty. Limit this to thirty days. If the computer is still under warranty from the manufacturer, make sure you let the buyer know how to access this warranty service. Ensure that the buyer knows how to contact you. Many sellers use their phone number. We recommend only giving out your email address. When the buyer contacts you, do your best to help. Most buyers are interested in getting on with their life and will not be bothered to communicate unless they really have a legitimate issue. Don't take anything personally and be ready to apologize at first issue. Andover works with firms to ensure that the management of eWaste is accomplished to mitigate any financial risks to the firm. Andover maintains a no-landfill policy and works to protect its clients by destroying equipment without worth with an EPA compliant method. If you are not an individual and read this out of curiosity, we welcome your business. As reselling computer equipment is our bread and butter, please take a minute of your day to complete this. Selling your computer equipment can be much easier than what we described above.